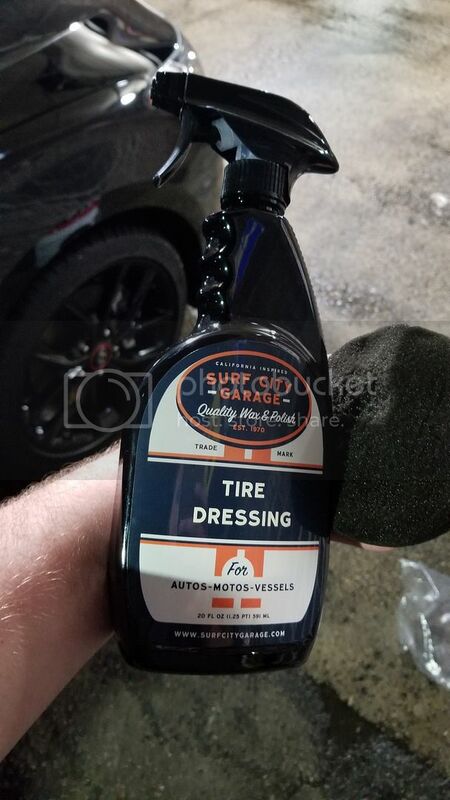 Here is my review for the Surf City Garage Tire Dressing. Please note that I did receive this product for free, since I am factory sponsored by Surf City Garage for 2019. However, this will not change my opinion on the product. Enjoy! This test was done on my Veloster Turbo. 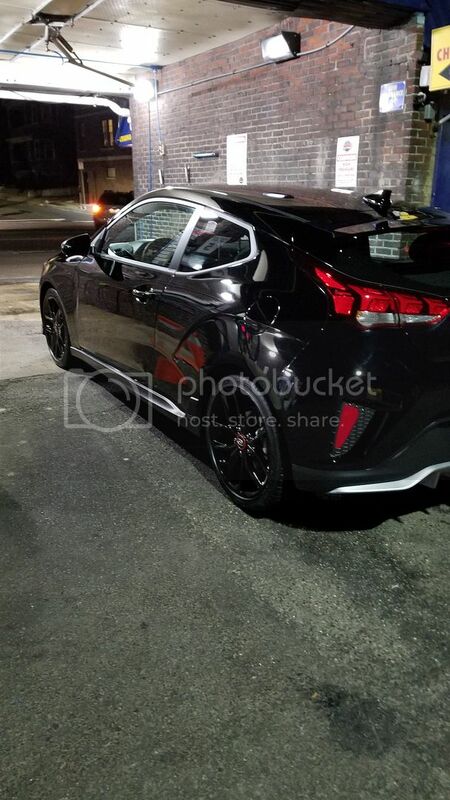 Sorry for the dark pictures, I have to wash the car at a self-service bay at night. For this test, the tires were cleaned with Shine Supply Solution APC at 4:1 dilution. 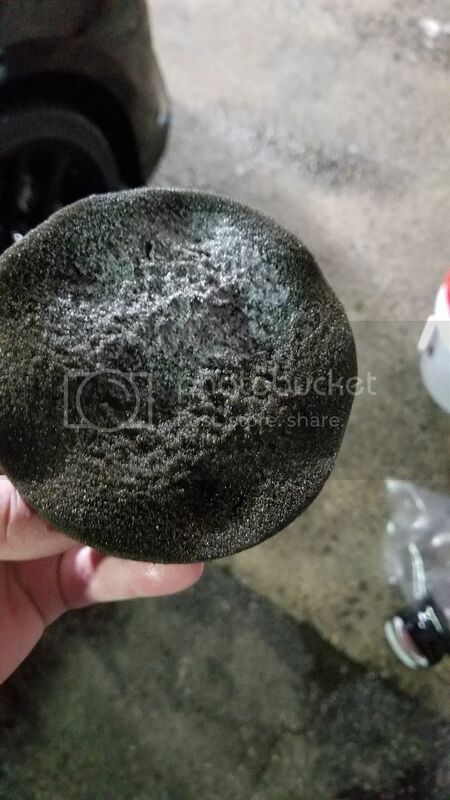 The car is new, so the this won`t be a test of the tire dressing as a restorative product, but more focused for a normal, maintenance use tire dressing. SCG Tire Dressing is a water-based dressing that does not contain silicone, making it body shop safe. This product is in the limited edition packaging, that is the new look for Beyond Black tire dressing from SCG. I think SCG is moving all of their products over to this new packaging, which I like. It comes with a nice label and easy to follow instructions. The sprayer is also unique because it not only has the spray and stream function, but also a foam setting. I did not test the foam setting for the tire dressing, however. The product is a thin liquid consistency that is blue in color and has a nice bubblegum scent. It comes in a 20oz bottle for $12.95. I applied this product by spraying it onto my hex grip tire applicator sponge. 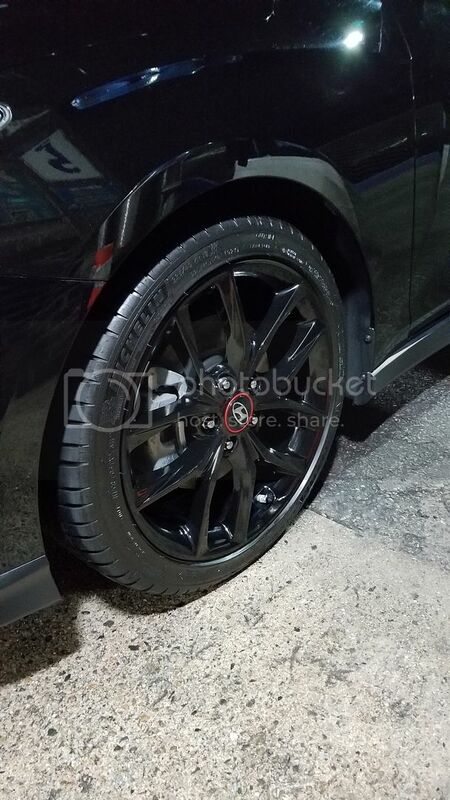 I did not spray it directly onto the tire, since these tires are low profile and I would get overspray on the wheels. I primed the applicator before use. It goes on very easy and you don`t have to spend a ton of time working it into the tire. I applied it to the tire, let it sit for about two minutes and then wiped it quite aggressively with a microfiber towel. The product left a very shine appearance, so I toned it back a bit by leveling it with the microfiber towel. I was a little worried when I first applied the product. It was a little too glossy for me. It looked glossy, but did not feel greasy which was good. Even after I toned it back with a microfiber towel, it was a tad too shiny for me. However, after I let the dressing fully dry (about 10 min) it left a very nice finish that didn`t take away from the rest of the car. I would definitely recommend that you let this product dry fully, because I noticed that a good amount of the shine went away. 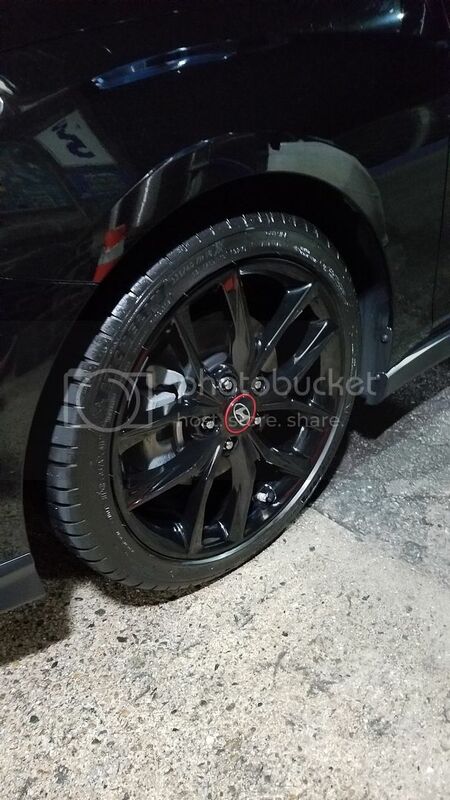 It left a very nice finish on the tires and has proven to be quite durable. The second picture is the dressing after daily driving the car for 2 weeks. 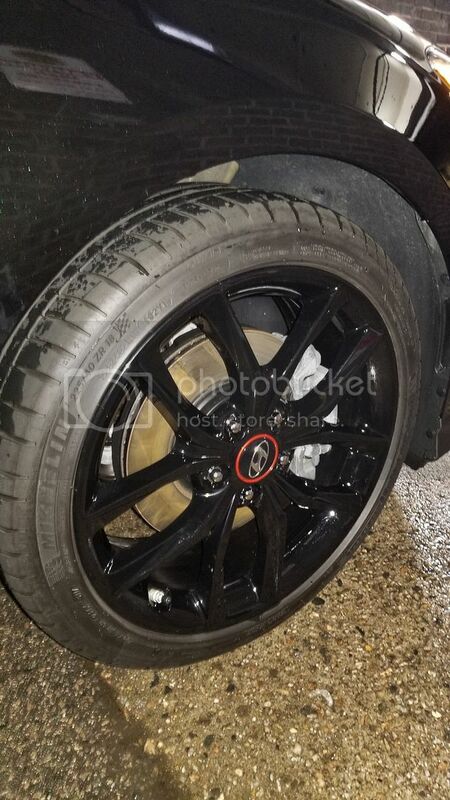 It even saw some rain driving in that time period, and while the dressing does not look as fresh as the day I applied it, the tire still looks conditioned and not dry by any means. I wouldn`t really ask more than two weeks for durability from a tire dressing. I wash the car every week or every other week, where I clean the tires and apply fresh dressing so this time frame for durability is perfect for me. I was also glad to see that it can stand a little water as well. Overall, I was very satisfied with this product. The price point is pretty good and it was very easy to apply. It had a very nice bubblegum scent and after the product dries it leaves a great satin finish. If you wanted a higher gloss finish, you can apply it and let it dry instead of leveling it with a towel like I did. 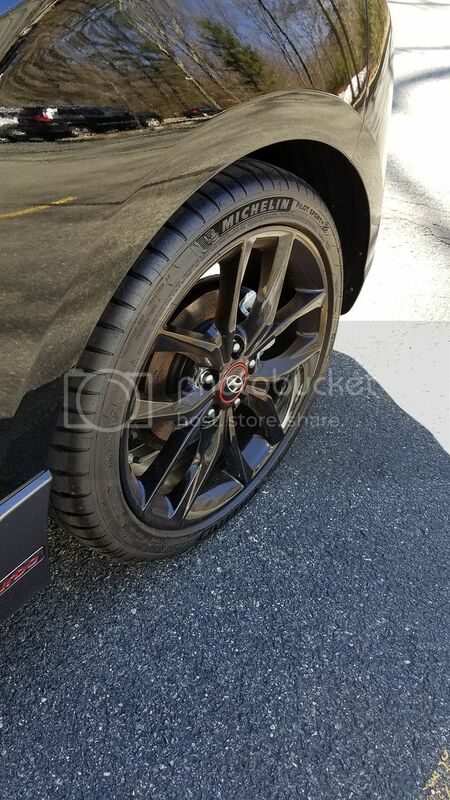 I was also pleased with the durability of about 2 weeks and that it didn`t leave the tire looking dried out after it fades, like some tire dressings do. If you are in the market for a maintenance water-based tire dressing, I think this is a great option. Thanks for viewing! Thank you for the comprehensive review. You tell us everything we wanted to know. Thank you very much! Let me know if you have any suggestions for products you`d like to see reviews on! Would you recommend this product for use on wheel wells as well? You can do so with many tire dressings. I`ve been using it for a while now. Great product! Any fling? Sounds like it checks all my boxes. Any idea how the gloss competes to 303? I wiped the dressing off with a towel and did not get any fling. I didn`t test it by just applying it and letting it soak. Compared to 303, if you level the dressing with a microfiber towel of the SCG to tone-down the shine, it will be very similar in sheen to 303. Not a matte finish, but not super glossy either. If you don`t level the dressing and just apply it and let it soak, the SCG will definitely be glossier than the 303. For use on engines, I would probably recommend the 303 over the SCG since you won`t have to level it to get a nice factory sheen. My Surf City Garage Review.